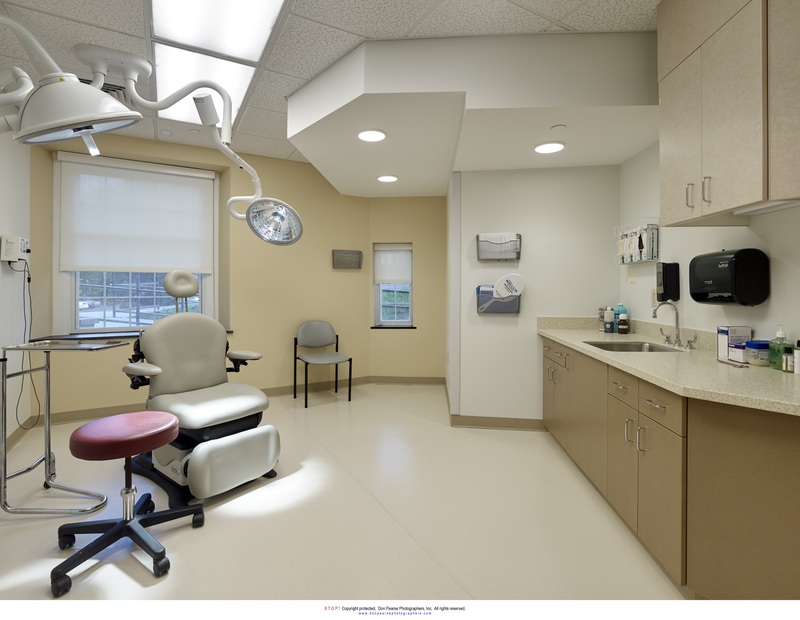 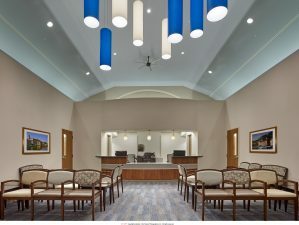 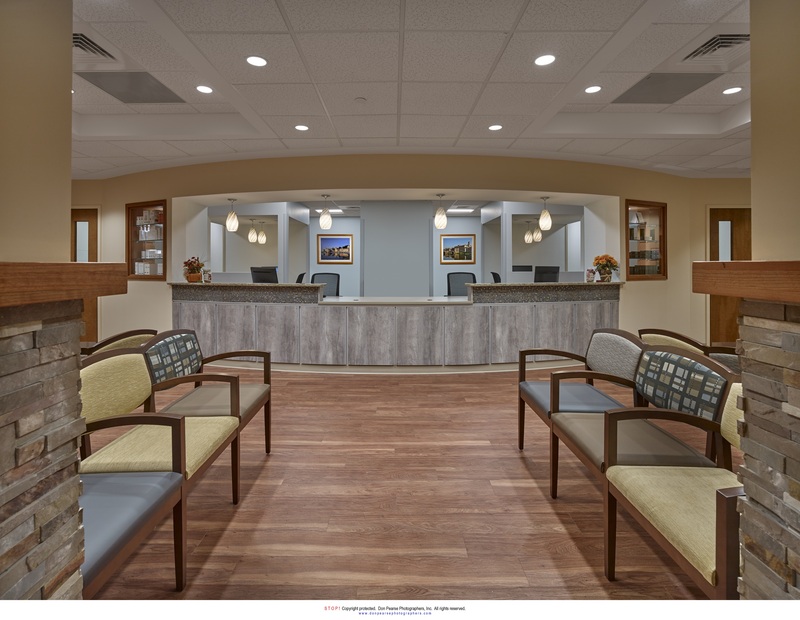 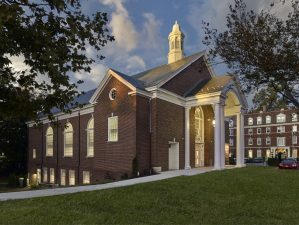 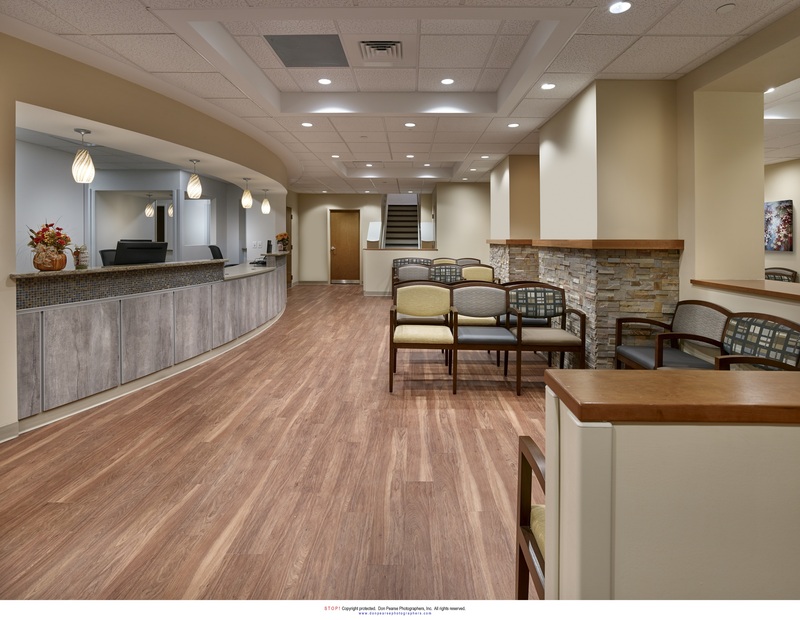 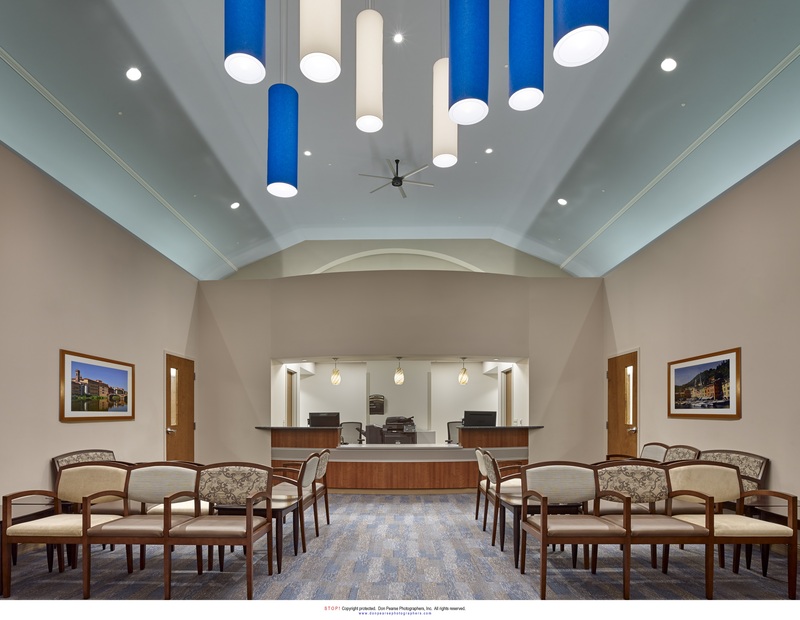 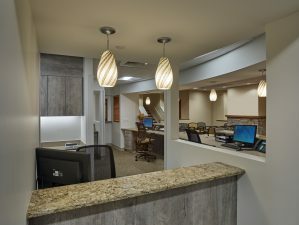 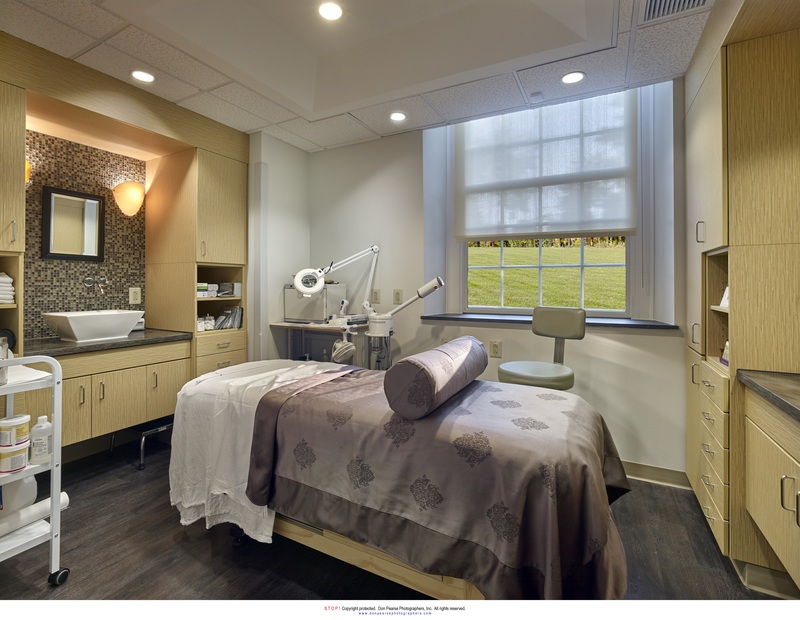 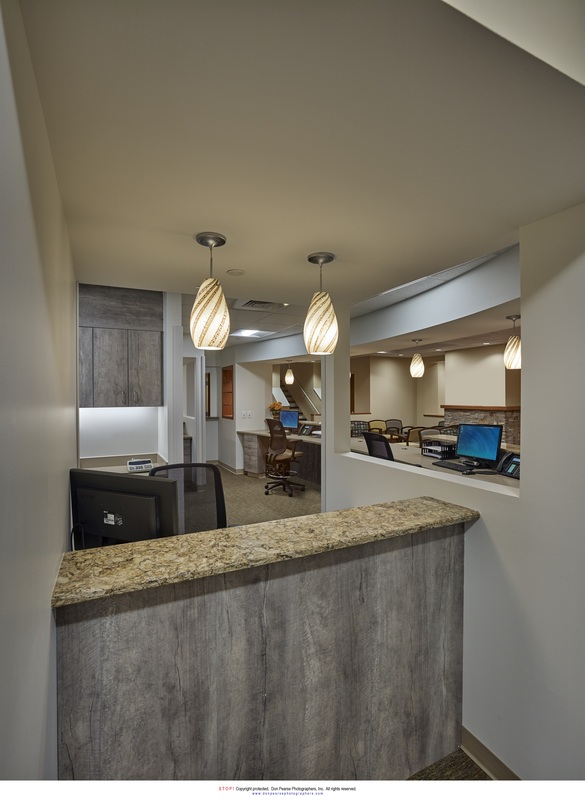 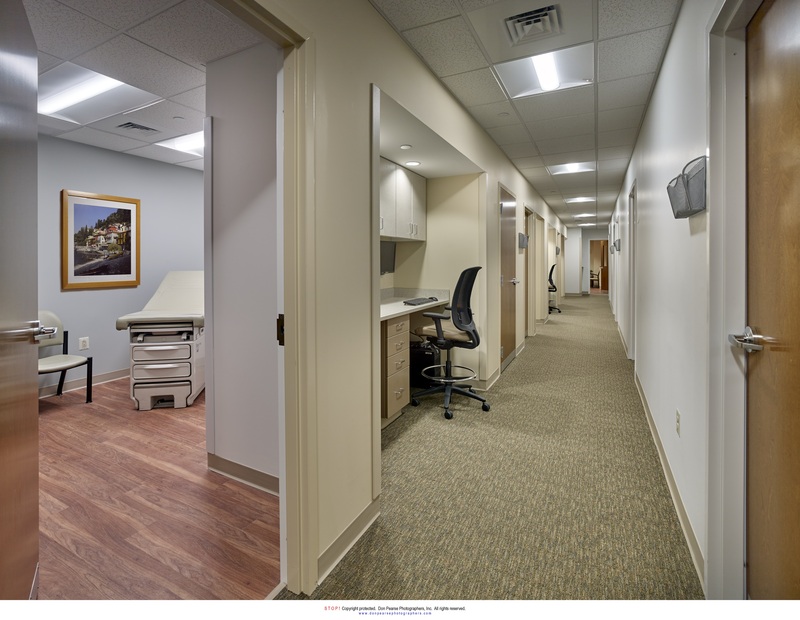 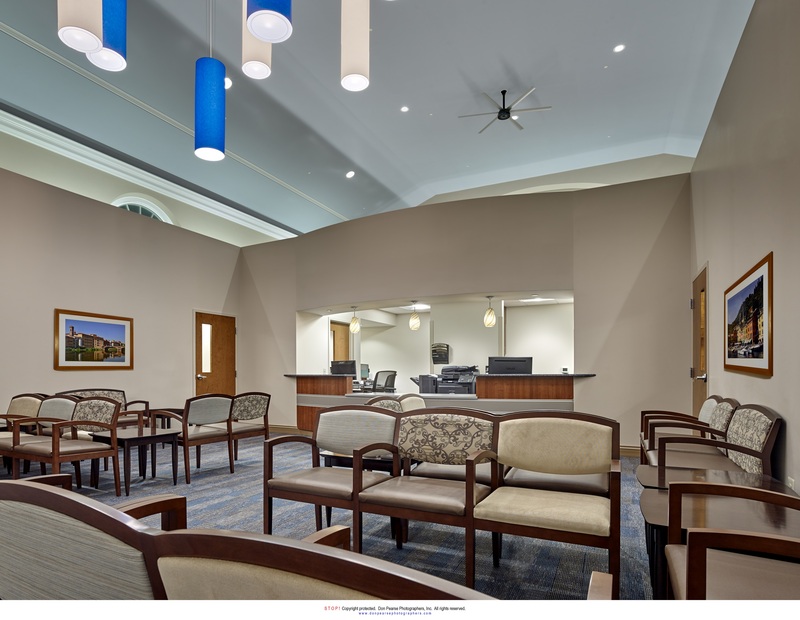 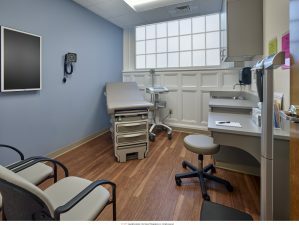 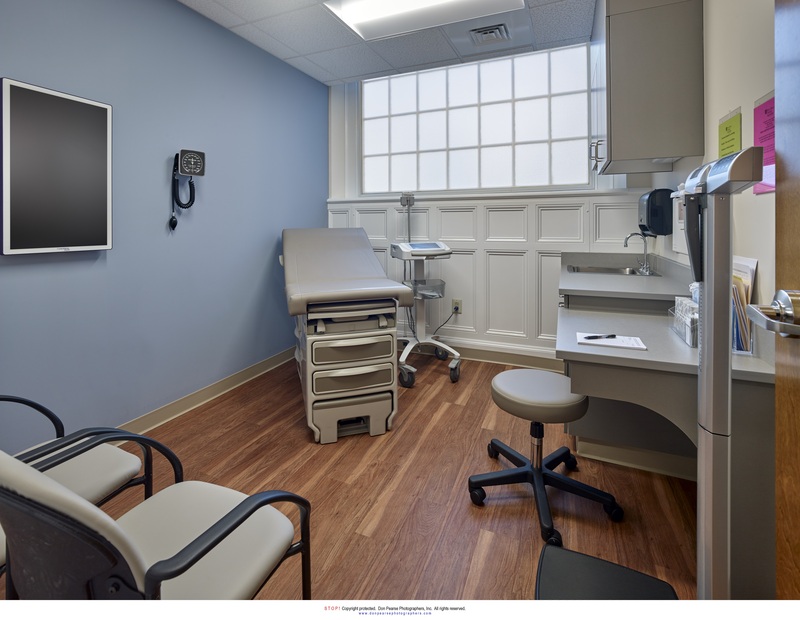 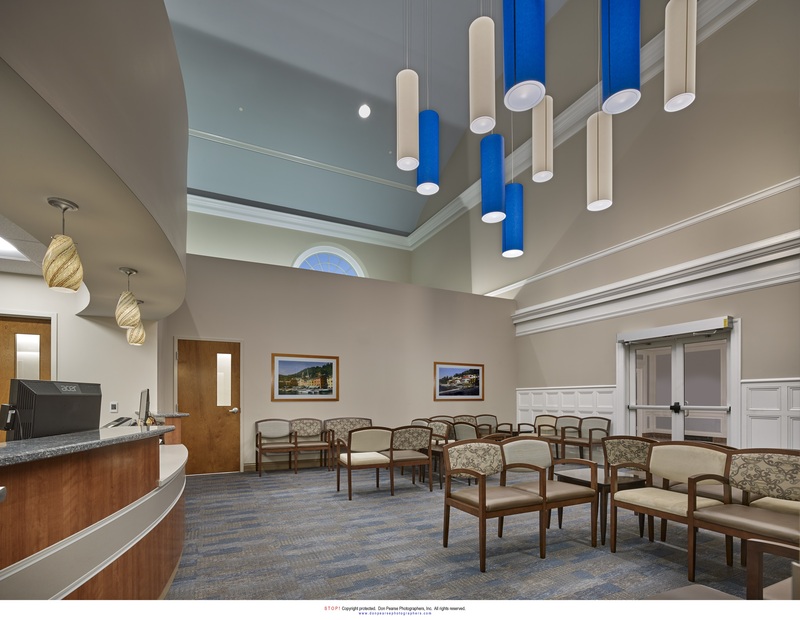 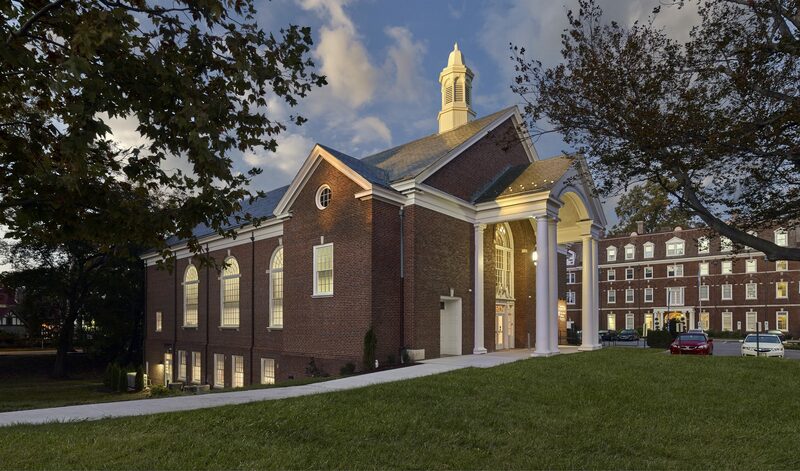 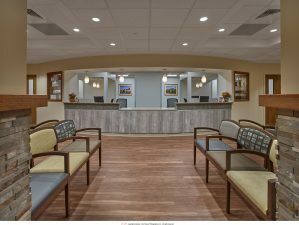 Renovation of the historic Palmer Chapel into 11,000 SF of medical office space for Bryn Mawr Medical Specialists. 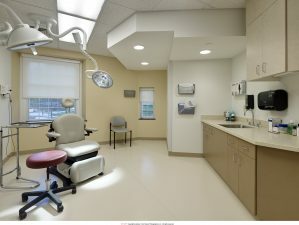 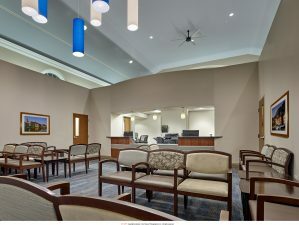 Cardiology and dermatology practices will occupy this two story building. 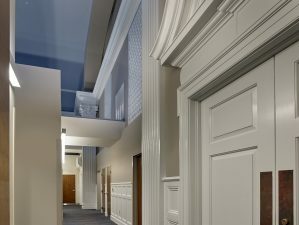 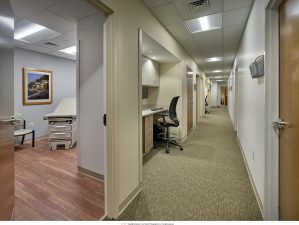 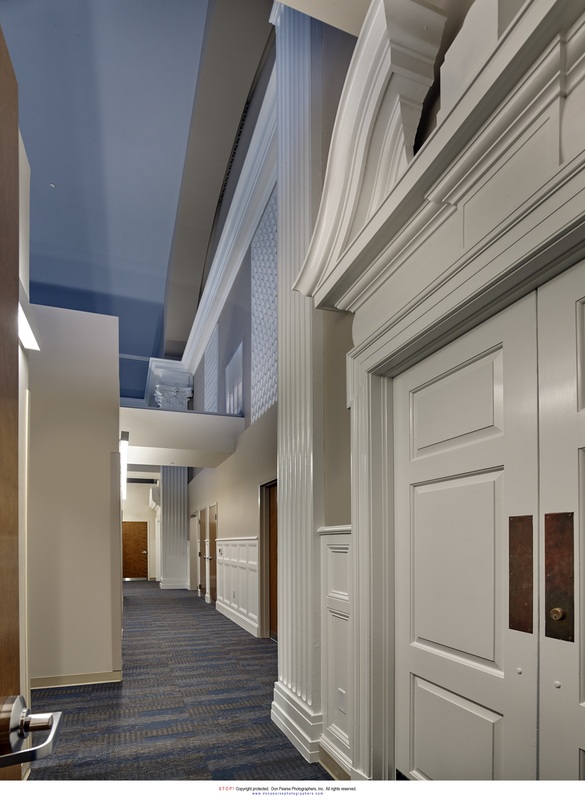 The second floor office area was constructed within the existing chapel and maintained the open 32 foot ceiling above the exam rooms and offices. All mechanical and electrical systems were run on a structural deck system installed above the drop ceilings to maintain an open feel throughout the space.